Do you always think about food safety when you’re preparing the food you eat? And do you trust the people who might make food for you? It’s important to be aware of food safety issues if you want to avoid getting sick. It’s not the kind of thing that anyone should just ignore. There are minor annoyances and serious health problems that can arise as a result of you not taking the issue of food safety seriously enough. And if you’re preparing food for other people, it becomes even more important to stay safe and avoid common mistakes. Preparing food in the right way doesn’t have to be too difficult, though. And you don’t need to take a long time changing how you do things either. Most of the things you need to do are simple and straightforward. If you’re stilling wondering what this should all involve, here are some great ideas to get you started. Follow all the advice below and remember the things you learn. That way, you will never have to suffer a food-related illness again. It’s vital to always separate different food items when you are preparing them. It can get pretty hectic when you’re cooking a big meal and you’re trying to deal with a dozen tasks at once. But that’s not an excuse for letting your food safety standards fall at all. When you have different foods mixing with foods like raw meat or fish, you can cause yourself problems. It might be the case that the food that gets contaminated is not cooked at a high enough temperature or for long enough to kill the bacteria that landed on it. So, keep things apart. Failing to do so could cause food poisoning, and it’s not worth paying that kind of price. Marinated meat can be great for grilling or frying, but how careful are you when it comes to storing it? This kind of meat normally has to be stored in a refrigerator overnight to allow the marinade to its thing. But there are risks that come with storing meat in the refrigerator when it’s close to other foods. First of all, you should make sure that the container you use is sealed and secure. This will prevent any dripping. When drips from raw meat land on other foods, they instantly become contaminated. Putting marinated meat in a refrigerator without a cover is not an option to consider. It’s a simple case of using your common sense and ensuring nothing goes wrong. For parties or gatherings, food is often left out on the table. There are risks associated with leaving food out which will be looked at below. But there are some external factors that can have an impact on it too. For example, if things are going on in the kitchen or kids are running around at a party, external bacteria can end up on the food. To avoid this happening and causing problems for anyone who then goes on to consume the food, you should keep it covered. After everyone has eaten their first helping, you can use metal, glass or plastic covers to make sure that no external bacteria can land on the food. It’s a simple tip but could make a huge difference. Cooking outdoors means using a grill or barbecue. The heat from these forms of cooking is often less direct and concentrated than the heat of the oven. A lot of that heat is simply lost in the outdoors. And that’s why it’s so important to use a thermometer when you’re outdoors to test the temperature of the inside of the meat you’re cooking. When the middle of the meat is at a high enough temperature, you know it’s cooked. 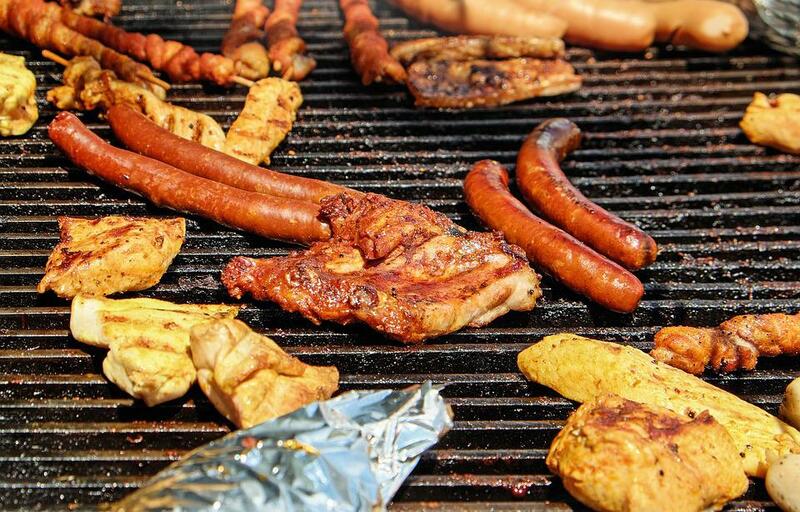 So many people get food poisoning as a result of poorly cooked barbecue meat each summer. This happens because when using a barbecue, the outside can easily look burnt while the inside is still cold. Be alert and buy yourself a decent thermometer for next summer. The temperature at which you cook your food is very important to take note of. If you choose to cook your food on a low heat, you need to be very careful. 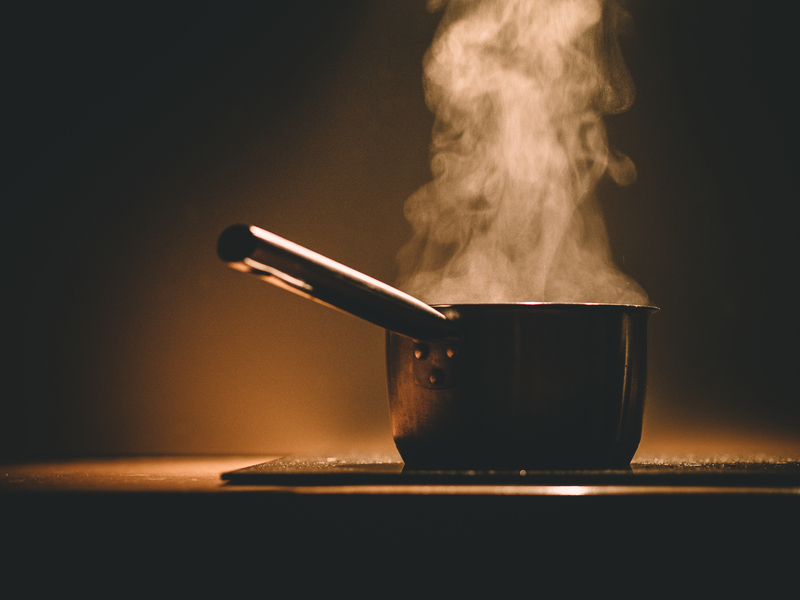 Cooking at low heats is possible, but you have to allow the food longer to cook, and the temperature still has to be high enough to kill off bacteria. 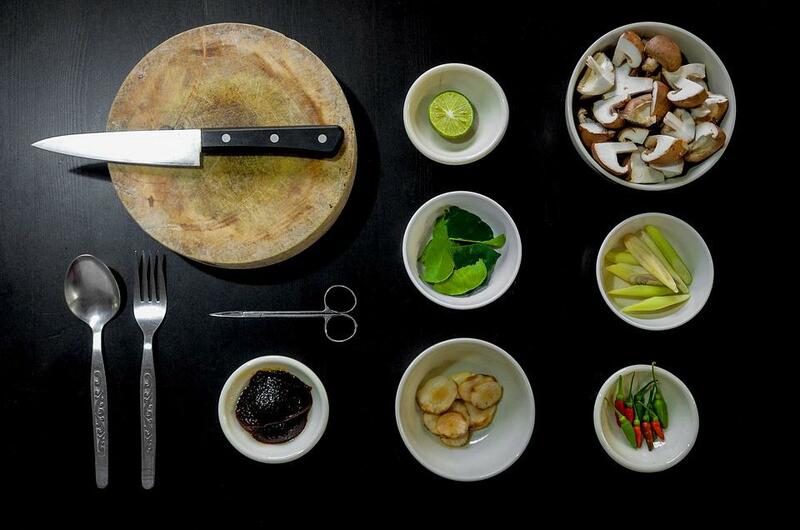 This is what cooking is all about at the functional level. Yes, food tastes better when it’s cooked in most cases. But that’s not why it has to be done. Food can often be brimming with bacteria, and only heat can kill that bacteria and keep us safe. So, even if the food looks cooked, it might not be if the temperature you were cooking it at was not high enough. Keep that mind next time you’re cooking. 2 hours is the limit for leaving food out in the room. If you leave food out without warming it up or cooling it down for more than two hours, it will start to present problems for you. And they are not problems that you are going to want to deal with. It’s always better to be safe than sorry when it comes to food that has been left at room temperature. If you are using meat, this is even more important. But any food that has been cooked is at risk once it has been at room temperature for too long. It’s not the case that it will definitely make you sick. But the point is that the risk of that happening increases the longer you leave it out in the relative warmth of your home. It’s a mistake that many people make, so don’t be one of them. It’s not just your own cooking that you have to worry about. Most of us eat food cooked by someone else at some time or other. We might be eating at a friend’s place, dining with the family or going to a restaurant. All of these situations can lead to food safety problems, so it’s best to be aware and know how to spot dangers lurking in the food. Always test the heat of the food and ensure that what you are eating is hot if it’s meant to be hot. Eating cold food is always a sign of danger. It suggests that the food has been left lying around, giving bacteria the chance to spread after cooking. This can potentially lead to food poisoning. If that happens, find a food poisoning attorney and take action against the restaurant. Cleaning the countertops and utensils you use is an essential piece of advice. If you don’t clean up after yourself once you have finished cooking, you will be creating dangers for next time you come to cook. Mixing some water and a bit of chlorine bleach can produce the ideal sanitization solution. It doesn’t take long to get this done either. Of course, you can sit and eat the food you prepared before you start cleaning up. As long as the surfaces and utensils are fully sanitized by the next time you use them, there won’t be a problem. The same should apply to any of the chopping boards you used in the cooking process. If you cut raw meat on them, it’s doubly important to get them clean. When food has been made, it should either be consumed or refrigerated. Choosing neither of these options can be very unhealthy, and it’s something that is certainly not recommended. You have to be very careful. It doesn’t take much effort to put food in the fridge pretty quickly, but it could help you a lot. The reason why refrigerating your food is so important is because cold temperatures help to keep bacteria away from your food. Bacteria tends to grow on the surface of food when it is at room temperature. But when the temperature drops to the temperatures found in your refrigerator, it becomes impossible for that to happen, meaning food can be kept safe for longer. We all need food to stay alive, but unfortunately, food-related illnesses and health problems are all too common. Make sure that you never suffer any of the problems associated with this by using the tips mentioned above. Being alert and careful always pays off when it comes to staying safe and healthy. Make use of each of the things mentioned above. Then you can be sure that you and everyone around you avoid problems like food poisoning.